Click link below for coordinating backing fabric. Cast a spell with the wickedly delightful new collection by Meg Hawkey! 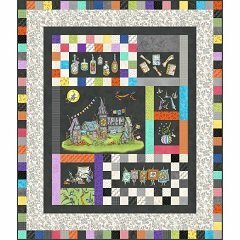 Introducing "Salem Quilt Show", a spooky assortment of fabric not only perfect for Halloween but all year round. 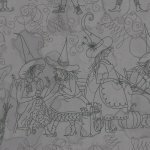 Meg's whimsical, witchy designs celebrate the creative personalities of quilt guild sewist everywhere.